We as a society are not very good at honouring either our creative innovators, nor our artistic visionaries; that is until they have passed on. I mused over this whilst reading an article in a Sunday Weekend Magazine. It was a story about Louise Olsen – a very successful, passionate and creative designer who established Dinosaur Designs. Whilst reading it, the penny dropped, she is the daughter of John Olsen who recently turned 90. 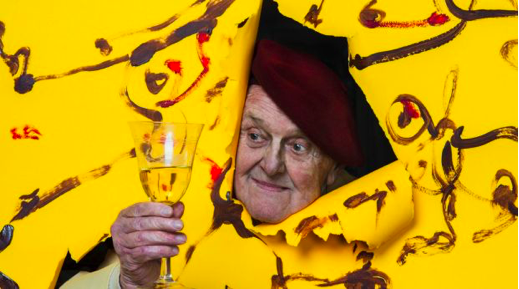 He still works each day in his studio in the Southern Highlands, and is no doubt a living Australian National Treasure. It was this serendipitous moment that got me thinking; when do we recognise greatness in out artistic community, and just what do we do to acknowledge their contribution to our living and working fraternity. Sadly I’m compelled to say not much, and not very often. It usually takes their death for us to realise how great they were in life; and I’m struck that this is not only a great waste but a loss that we can ill afford in a society that is desperately searching for inspiration and visionaries to provide hope for our future direction. I must confess I first became aware of his work when I looked at the label of my favourite tipple. 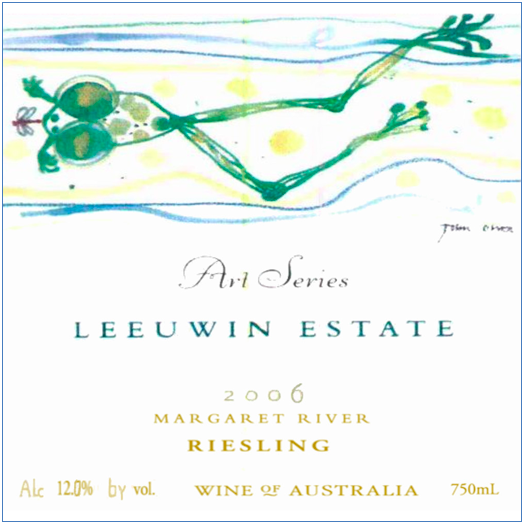 The “Leeuwin Estate Art Series Riesling” range carries a series of fabulous water coloured frogs on its labels, offering the imbiber the opportunity to allow their imagination to wander to a more whimsical and tranquil place. 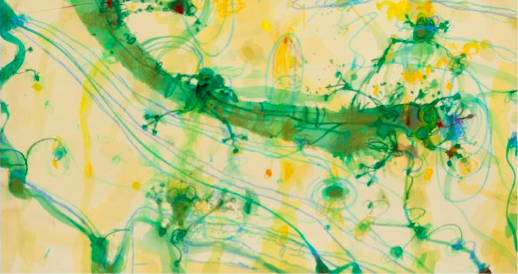 John Olsen work is almost always instantly recognisable, dominated by long, wiggling lines and colourful splashes and dots, hang everywhere from Malcolm Turnbull’s office to the Sydney Opera House. 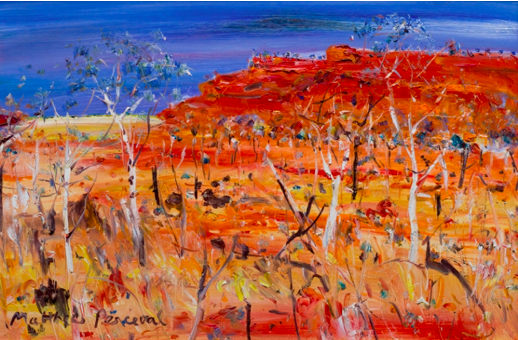 In a career spanning more than 60 years, he’s had more than 50 solo exhibitions, has won the Archibald Prize for portraiture (in 2005) and twice won the Wynne Prize for landscape painting (in 1969 and 1985). 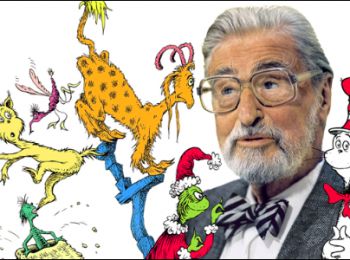 “One great value in being aged is that it allows retrospective thinking. I can now look back at the changes in my lifetime through a mental telescope”. Asked what he’s learned about life that he wishes he’d known much earlier, Olsen replies: “Stay in your centre. Your life changes, but you don’t. Never lose your core. “You must care for your individuality; don’t get swamped by others’ opinions, pressures, or unhappy people around you. Olsen appreciates that many people would not stand the solitude of being an artist or a writer, working alone each day, self-starting every morning. “It never gets any easier. I still wake with an idea in mind, but it’s ebb and flow. “The important thing you learn with creativity is that the tide comes in and the tide goes out. There will be fallow periods when the work is not going well, so it’s best to put that painting aside, just turn its face to the wall. From the age of four, Olsen drew compulsively. Edmund Capon, former director of the Art Gallery of NSW, says Olsen loves the flourish and passion of the brush as much as he loves his subject. His paintings always show real emotion and expression. “We should remember it took so many brave, hard-working people to bring us here, thank you. And how lucky we are that we have a country that we do appreciate, because Australia has a lot to give. We obsess with fake news, and sordid affairs. We are daily confronted with natural and human tragedies that overwhelm our senses. We owe it to ourselves and our future generations to learn and impress on them the power of beauty and art as an expression of some of the greatness that mankind can manifest. 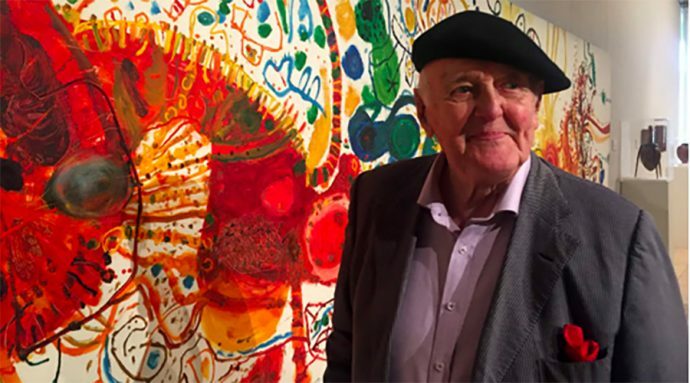 To this end we salute John Olsen, his Art and life’s work.